The final favorite being revisited during this March hiatus involves a conversation with I Do Movies Badly hall-of-famer Gavin Mevius recommending me some double features of Universal classic monster movies, which led me down a controversial path of questioning how much the filmmaker's intent is unknowingly influenced by societal factors like sexuality (or, more specifically, its suppression). This walk down memory lane takes us to May 2016 where I talked with Jenni Miller, recent recipient of a failed tongue lashing from a totally not racist Green Book producer, about the films of English director, Andrea Arnold, the only director whose entire catalogue I've seen. All of her films from Red Road to American Honey explore the themes of class and struggle, with her approach applied most effectively in her unique adaptation to the literary classic Wuthering Heights. Reaching all the way back to September 2016 comes this favorite episode featuring a conversation with Kristen Sales, who would later return to the show to discuss the films of Jim Jarmusch. The film-noir titles she discusses in this episode are all directed by women who took the conventions and archetypes of the genre to tell and manipulated them to tell worthwhile individual stories. Happy International Women's Month! Just because I'm on hiatus doesn't mean I'm not giving you something to listen to! Revisit some of my favorite conversations from I Do Movies Badly's past beginning with the Introduction to Guillermo del Toro featuring NYC-based filmmaker, Sean Meehan! This discussion and the subsequent month helped me to develop a new appreciation for the Mexican writer/director's work, including his gothic horror Crimson Peak, which I had so foolishly written off upon first viewing. IDMB Episode 152 - Safety Last! Safety Last! may only last a brief 1 hour and 7 minutes, but that was long enough to create an image that would resonate with film audiences almost 100 years later! I was expecting a gag film and I got a character story instead. Luckily, the characters of Harold Meadows and Mary Buckingham were so relatable and likable that I was fully invested in their story. 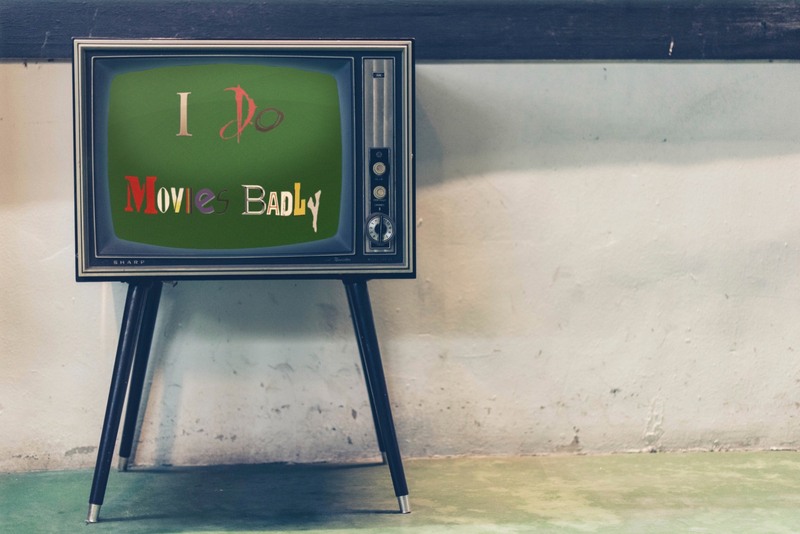 Tyler Smith becomes the first member of the BP Fleet to guest on I Do Movies Badly since it returned to discuss the films of silent film actor, Harold Lloyd. The recipient of an MFA from UCLA talks about how Harold Lloyd stands apart from - and, in his opinion, stands above - the other "big three" silent film pioneers, Charlie Chaplin and Buster Keaton and what makes a "Harold Lloyd film" even when he was not the credited director. The value of studying silent film for more than just academic purposes is also discussed before delving into the three recommendations: Girl Shy (1924), Safety Last! (1923), and The Freshman (1925). The Tree of Life kicks off with a Bible quote from a book that should signal to you that - surprise! - there will be no easy answers. But when it comes to themes like creation, existence, significance, and memory, there shouldn't be.